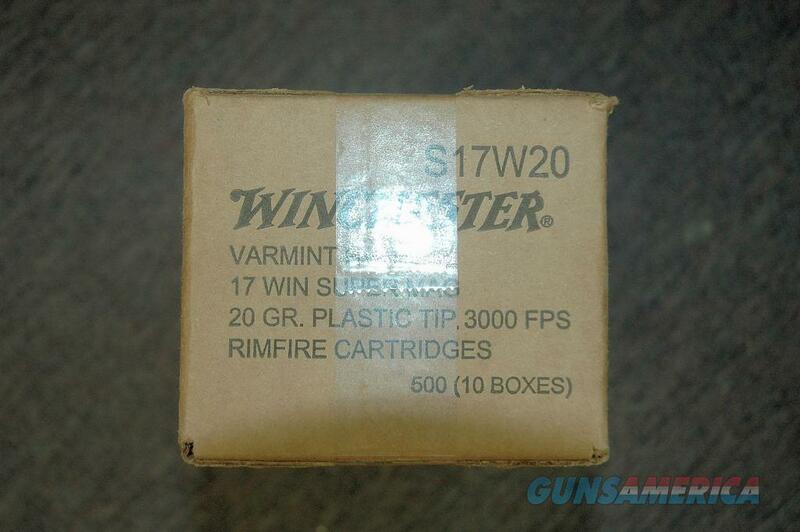 Description: This is 500 rounds of Winchester Varmint HV 17 Super Mag ammunition for sale. The weight is 20 grains and muzzle velocity is 3000 feet per second. The tips are plastic and it is a rim fire cartridge. Shipping is $15.00 USPS flat rate to anywhere in US.